I emailed my friend and former Marine sergeant, Mrs. Mandy McCammon, who’s currently serving as a Navy Public Affairs Officer, at midnight on May 28. 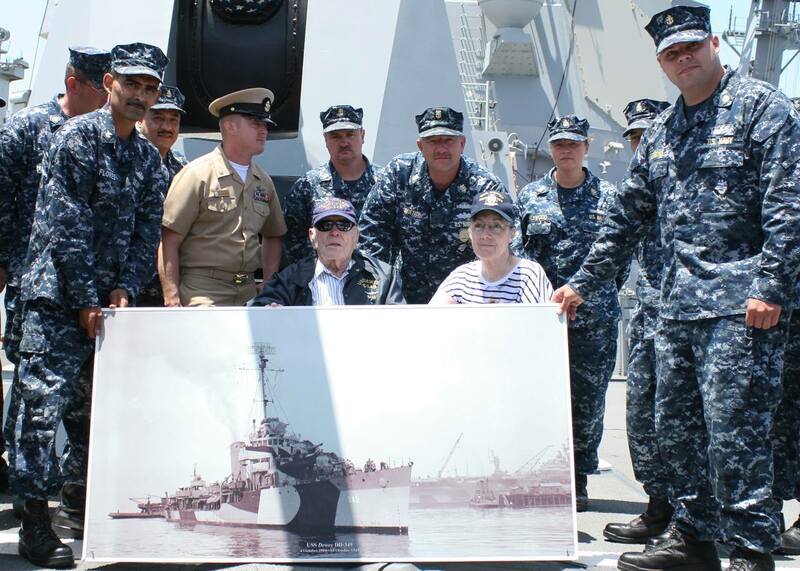 I asked Mandy if she had enough pull on any of the bases in San Diego to get me access for the day so I could give Bud, who served on USS Dewey (DD-349), a windshield tour. 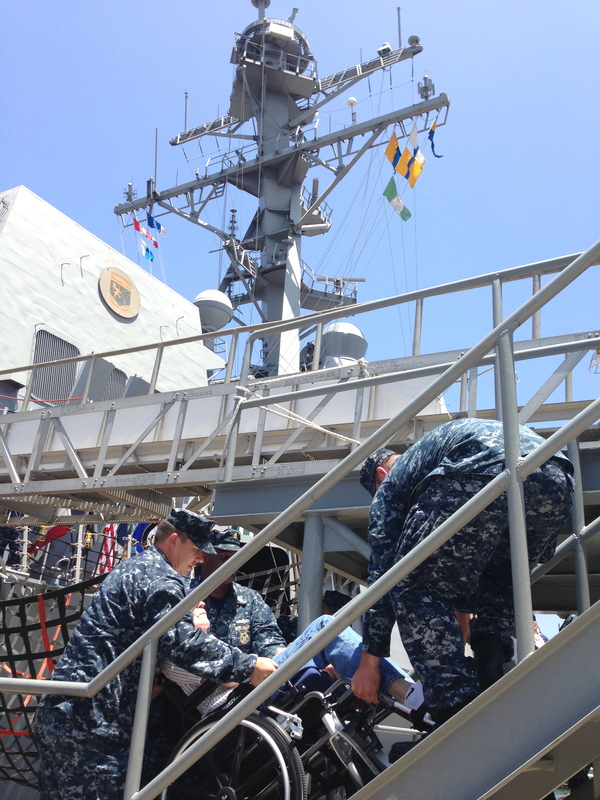 The next day she sent me an email from the current USS Dewey (DDG 105)‘s XO, CDR Mikael Rockstad, inviting us down to the ship two days later. 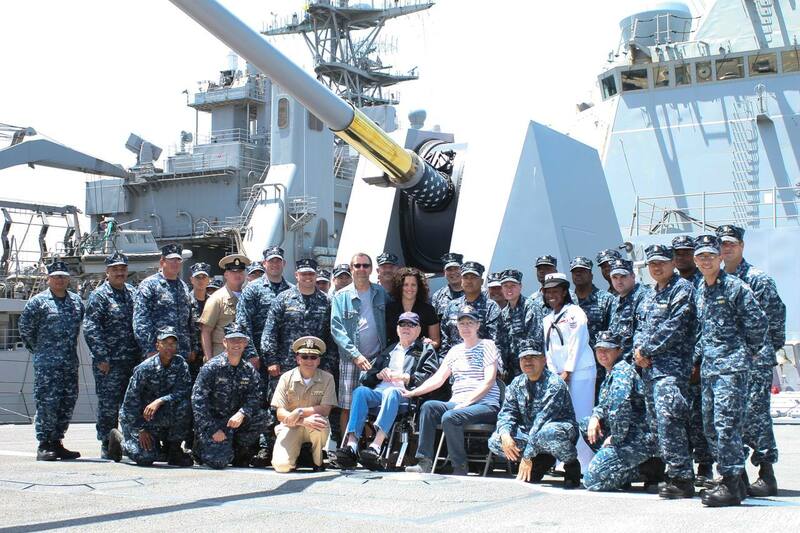 After we were all out of the van directly in front of the Dewey, shaking hands and exchanging pleasantries, Petty Officer Simon introduced himself and said as the ship’s Sailor of the Year, he had the honor of pushing Bud’s wheelchair for the day. Unbeknownst to us, they’d decided to host Bud aboard the Dewey, not at the Dewey. And so they carried him aboard. 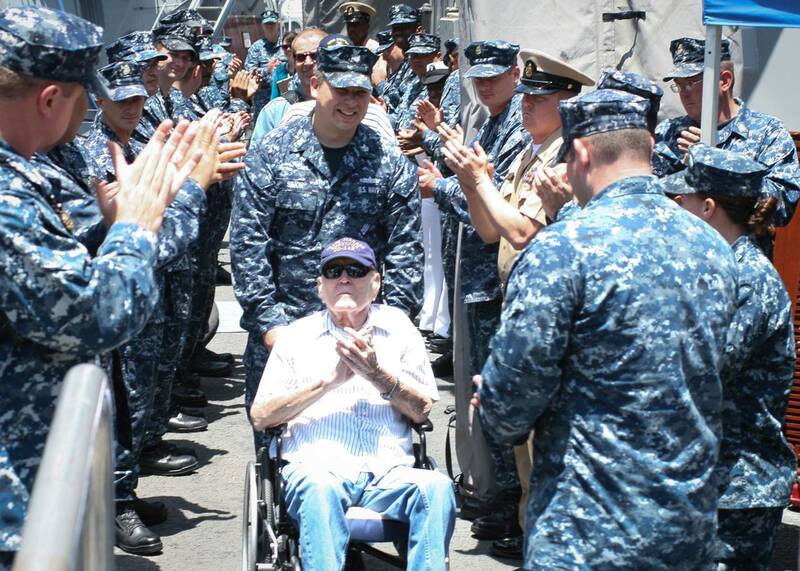 Once aboard, we were greeted by the CO, CDR Jake Douglas, the XO and a reinforced platoon-sized group of sailors. To say it was overwhelming is an understatement. These men and women waited in line to introduce themselves to Bud. They shook his hand, asked for photos with him and swapped stories. It was simply amazing. 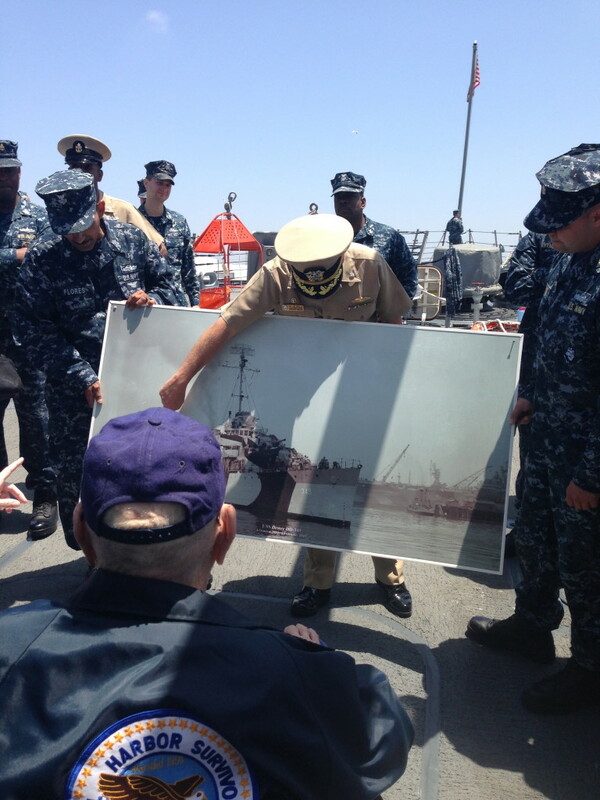 They patiently stood there holding the photo while he told them about her armament, described the way it listed after it was hit, and shared other details about the attacks on Pearl Harbor. There are more photos, and I’m sure I missed a detail or a name. 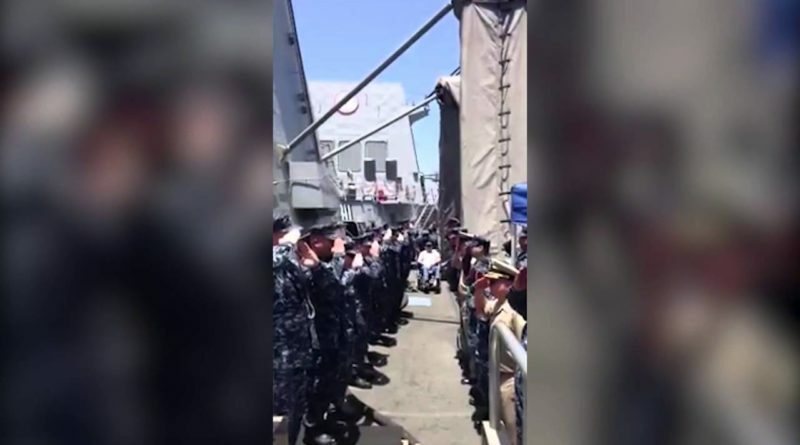 What I didn’t miss and will never forget, is how unbelievable the men and women of the USS Dewey were. 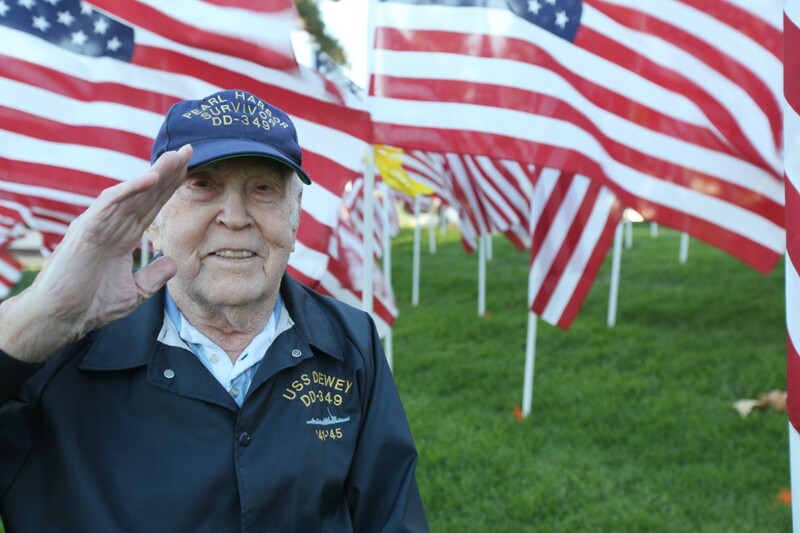 They opened their ship and their hearts and quite literally made a dream come true for a dying sailor.